Natural Hat with Color Block Brim! 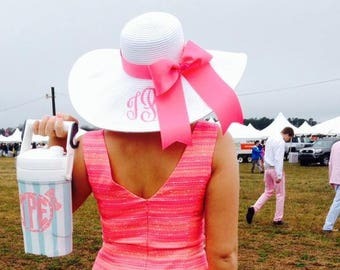 Only 3 letter monogram included. NO NAMES, WORDS or BRIDE. Very popular and eye catching hats! 21-22 inch head, 5-6 inch drop depending on Hat. White, Yellow, Lime or Coral, Navy ! We also have Pink or Black listed in my Etsy Shop, too! Very soft and floppy and crushable! 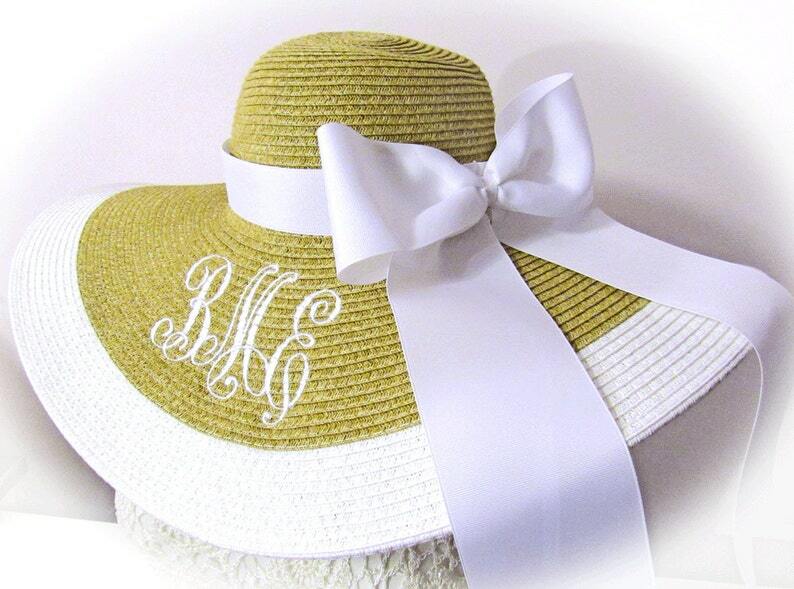 This sale may include the hat, 3 letter monogram as shown in the picture, hat band and bow. Hat with thin ribbon band also. See last pic. The flowers are NOT included in this sale. This sale is for the natural hat with color Block stripe but I also have other solid hat colors! Please & check my etsy shop for details. Stock changes seasonally. I got so many compliments on my hat. Had the best Etsy experience from this shop!! HIGHLY RECOMMENDED! !